If PS Audio’s Sprout100 has all the answers, you can just imagine the questions. The Sprout100 ticks all the boxes and then some. It poses a headscratcher of a question itself: What does it not do for $599? And as you can see from the specs listed below, not much is the answer. How one judges PS Audio’s latest incarnation is a matter of perspective, so I’m going to look at it as the core of 3 systems: starter, office, and travel. Normally, specifications find themselves at the end of a piece, but the Sprout100 is nothing short of extraordinary for the price. That all this comes in one box which I would liken to the size of an early model Apple Mac Mini is hard to believe, and I’m sitting right in front of the unit. So let’s get to those systems. ‘So, you want something versatile? You want something which you can build a system around? OK, oh there’s more. You move a lot and it has to be transportable. You’re not sure if you’re going to stick with records and want the flexibility of digital. You want to be admired and respected by your circle of friends for your gear. Is there anything else? You want it to be an investment in your future. Am taking that to mean you want for it to be relatively inexpensive and made to last? The above is pretty much an aggregate of what those starting out on the Hi-Fi journey toss my way. And, while taken on the whole, it is a tall order, the Sprout 100, much like Jeopardy in reverse, is the answer to all the questions. 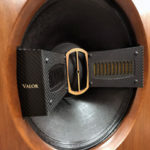 In order to position it as the heart of a starter system, I first had to come to grips with the fact that it is an integrated amplifier, a DAC, and a phono stage all in one, with a SUB OUT thrown in for good measure. Like any proper sommelier it’s my duty to work out the pairings, so with respect to price, not function, and the focus being on a starter system, I paired the system with kit that I have at home costing no more than $500 per component. 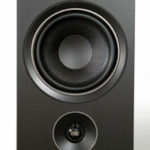 Speakers: ELAC Debut B6, KEF Q100, Q Acoustics 3020, and Pioneer SP-BS22-LR. 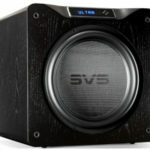 A decent array of affordable functional speakers well under the price cap and all of them performed admirably. The extra power, the oomph of 50 watts per channel, did indeed help matters as it was not necessary to push the speakers to their extremes and if I recall, in my youth and yes even today, I do like a bit of volume. I alternated positioning of the speakers on my trusty pair of Pangea DS-400 24” stands, a pair of ISO ACOUSTICS Medium adjustable monitor stands, my IKEA end tables, kitchen stools, and Kallax storage units. In any configuration/permutation I was not let down. Nothing to sneeze at here. Turntables: Rega P1 fitted with stock Rega Carbon cartridge, Pro-Ject RPM1 Carbon fitted with stock Sumiko Pearl and a Parasound LT 900D fitted with a SHURE M97 XE cartridge. I included the last turntable for no other reason than sheer whimsy, and I must be one of the few to proudly proclaim ownership. To be honest I was not expecting much from the phono stage. At best I was hoping for it not to hum too loudly and for there not to be any RF interference. Now, before any of you get any ideas, let me share this: Last year I acquired six budget phono stages ranging from $90 to $350 and all but one of them produced a nasty hum and static-laden local AM radio reception. I figured with everything else going on inside the box, surely this would be the weakest link. In a word . . . wrong. I proceeded to spin records that someone starting out on this journey would, so up went pre-owned rock, jazz and classical recordings, all of which were dutifully cleaned in advance of being spun. The phono stage was and continues to be quiet. Given my expectations, the Sprout100’s phono stage far surpassed my wildest. That being said, it is not going to replace the phono stage in my primary system or my secondary system for that matter, nor do I expect it replace anyone’s primary, but for someone starting out this is not bad, not bad at all. Of the three turntables, I got the best results out of my Rega P1 and highly recommend it to starters as an un-fiddly piece of kit. Digital: Apple MacBook Pro running Audirvana Plus and Roon. As my home is exclusively an Apple shop when it comes to computers, these are my two playback software solutions. The latter just squeaked under the price-cap, just barely. Using a standard USB cable, nothing fancy, and at closer examination an $11 Belkin USB A/B to connect to the Sprout100, again I was pleasantly surprised. I have listened to, analyzed and reviewed my share of DACs over the years. Is the integrated DAC here the best? Hardly. Will it put some DAC’s costing as much or more than the Sprout100 to shame? Yes. Not that it is subjectively so much better, but that it comes too close for comfort. The computer had no issues recognizing the DAC, nor did either of the software applications. From redbook CD standard to PCM 348 and DSD 128, the Sprout100 admirably handled anything tossed its way. My digital library is vast, so after a barrage of Hi-res and Super Hi-res I settled down to playing files that someone starting out would, more than likely, have at their disposal. What’s not to like? The sound was/is enjoyable, pleasing even, and I was not fatigued in the slightest. We have to remember that DAC’s have come a long way, so now some of the most affordable ones on the market sound damn good for what they are. This is not to say that there were no issues with the Sprout100’s operation where computers are concerned. In an attempt to reduce power consumption and lessen the overall heat of the unit, PS Audio decided that when the input selector is on anything but digital, USB is powered down, and while this is logical, computer operating systems, both Windows and Mac (OS X) will generate pop-up messages alerting the user that a USB connection is malfunctioning and has been dropped. The Windows error is even more graphic than its Mac (OS X) counterpart. Switching the selector back to Digital (USB) put all to right. The Bass Boost function is another story. I can understand the logic behind providing Bass Boost, which PS Audio claims adds +8 dB, and given that there’s a Sub Out on the unit, I fear PS Audio is unduly concerned about bass, as if its market research has indicated that it is a make or break feature. While I can applaud the Sub Out, I am reticent to suggest plaudits for the Bass Boost option. The difference between having it enabled and not was/is negligible if at all discernible. Lastly is the inclusion of an Analog OUT as well as Analog IN. This is where I and PS Audio maintain a strong difference of opinion. 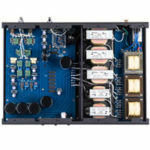 PS Audio’s thinking is that at some point the PS Audio Sprout100 owner will be in the market for more power and might be thinking of adding a PS Audio power amplifier, which they can connect via the Analog OUT. I am not convinced of the notion that Sprout100 owners would see the device as a front-end to a bigger, more powerful system. I am much more inclined to believe that the youth market, namely the Millennials, would be more inclined to attach multiple components, i.e. 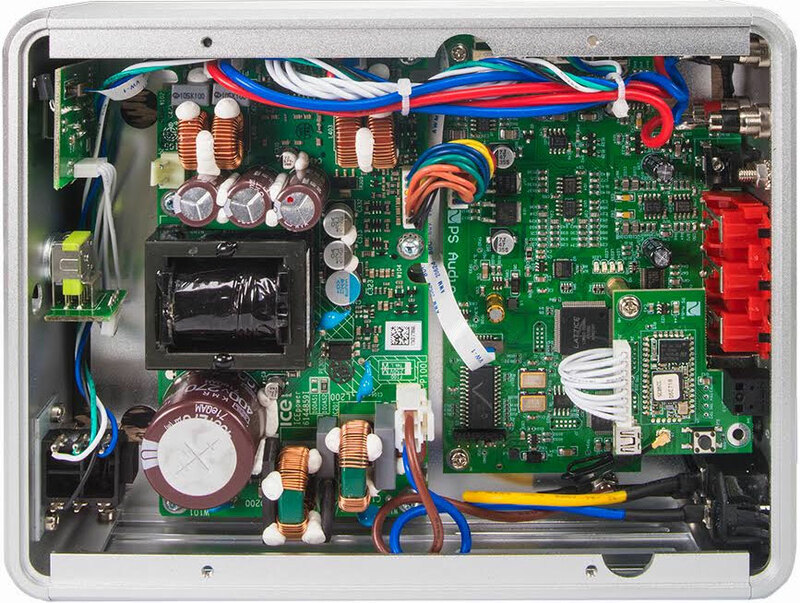 game-box, Blu-ray player, cassette deck, etc.… At first glance of the unit, connecting a more powerful, high-end amp was not even on my radar, not even a consideration. The issues, concerns and differences of opinion are not game changers. While they do detract a bit, and prevent the Sprout100 from gaining a “clean sheet” in my book, it remains a truly worthwhile product. Shipping Dimensions: Width 10.5", Height 5", Depth 14"
The Sprout100 is so good that I purchased two myself. One is permanent on my bedroom and the second one is a mobile unit anywhere I drive to. In my case I already had the Stellar M700s and Gain Cell DAC and other equipment in several rooms, but this Sprout100 made a compelling and irresistible case or aesthetics, functionality, WAF and value. So even we,the most seasoned enthusiasts are enjoying it. Other than driving a power amp — something I agree is not very likely to happen — Analog Out can feed an ADC for those who wish to digitize vinyl or get started with home recording, or drive powered monitors/speakers, or drive a (tubed) HP amp. Shoot, you could even put a HT processor between the outs and ins. It probably cost all of five dollars to add this feature, so what the hey. Why doesn’t it have a USB input for use with an i phone?? Although I am a millennial, I do welcome the idea of the analog output intended for the Sprout 100 to be used as a preamp, as this would allow me to upgrade my system in a modular fashion as finances permit. Clever marketing strategy as staisfied customers would likely go down the high en audio road the PS Audio way.